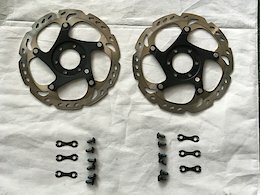 I am selling a used set of Shimano XT SM-RT86-S 160mm IceTech 6 Bolt rotors. They have low miles on them as they were taken off a second bike that was not used much. They are in great condition but do have some cosmetic blemishes. They come with the bolts and lock tabs. Asking $20 obo for one or $35 obo for both. Asking $5 shipping for shipping. 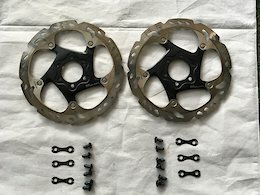 I am selling a Sunrace CSMX80 11 Speed Silver Cassette with low miles on it, in great shape. I only used it for a dozen or so rides. 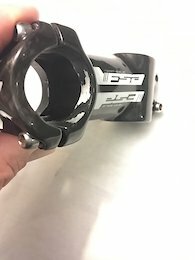 It works on a Shimano freehub. 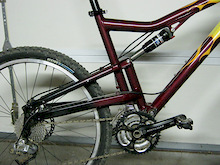 It is a great way to get lower gear ratios on an 1 x 11 speed drivetrain. The cogs are 11,13,15,18,21,24,28,32,36,42,50. I am selling a new set of Schwalbe Rocket Ron 29 x 2.25 Addix Speed LS EVO tires. They have a folding bead. They are new takes offs that have only been ridden in a parking lot. They are liteskin evolution tires with the Addix Speed compound. There is some residue left over from the sealant that was in them. I tried to get a close up of the tread on both tires so you can see they are new. I am asking $50 for each tire or $90 for both. Asking $5 shipping for one or $10 for both.